Beautiful setting with framed greenery & a super fun surprise that pops out of a giant box! style with that special someone! Here is a little “Romantic Valentine’s Day Dinner For Two” that I put together to inspire you. I hope you like it! For starters, we set the scene at the beautiful Inspirador here in Chandler, AZ. I am engaged, so right now I am especially appreciating beautiful venues like this! 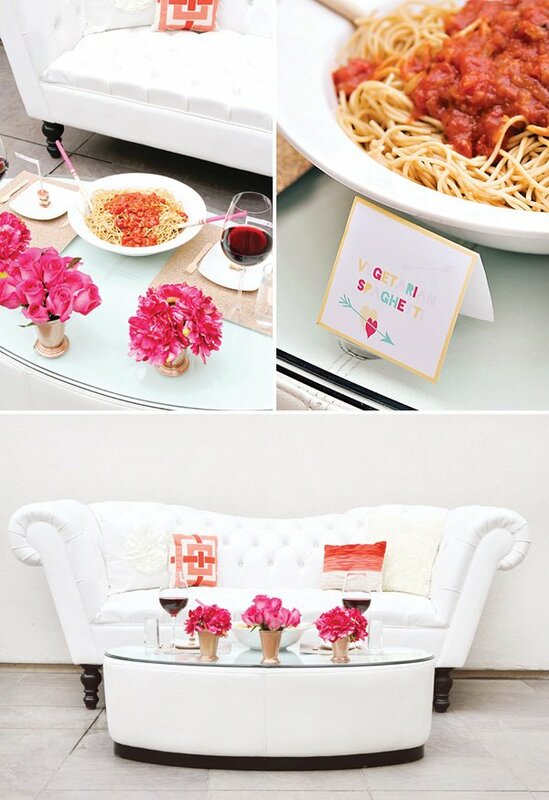 And how delicious is that couch and coffee table from Classic Party Rentals? I love white settings when using pops of color in my decor! 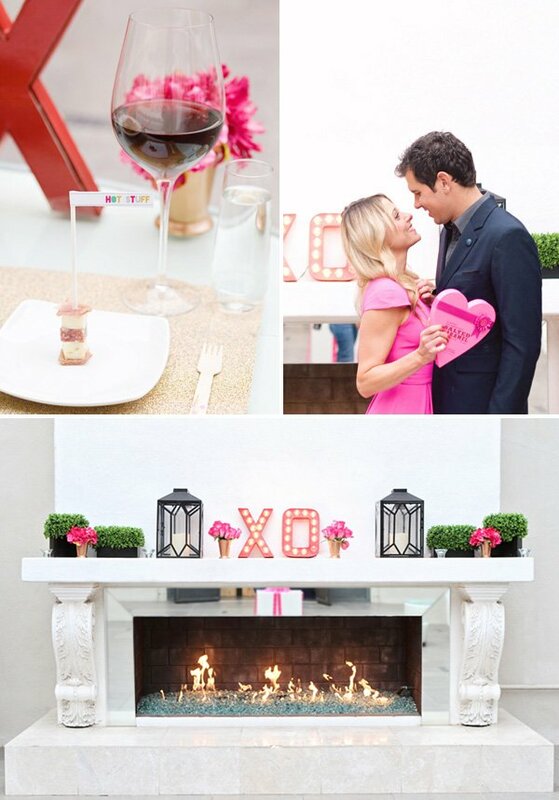 We carried a red, hot pink, and gold color palette throughout the dinner setting and the romantic cuddle area by the fire! 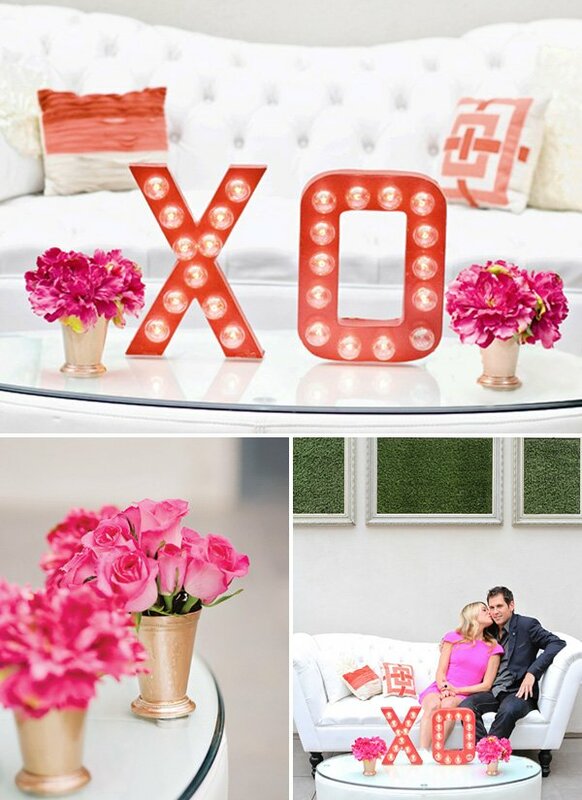 Here is the full DIY tutorial of the XO marquee sign. We set the table using gold card stock for place mats. We spruced up the wooden utensils and spoons by dotting them with a hot pink stamp and a pencil eraser to make the circles. The chairs were decorated with ribbon and these red paper medallions from Petite Party Studio. We made a Vegetarian Spaghetti that was as delicious as it is pretty! 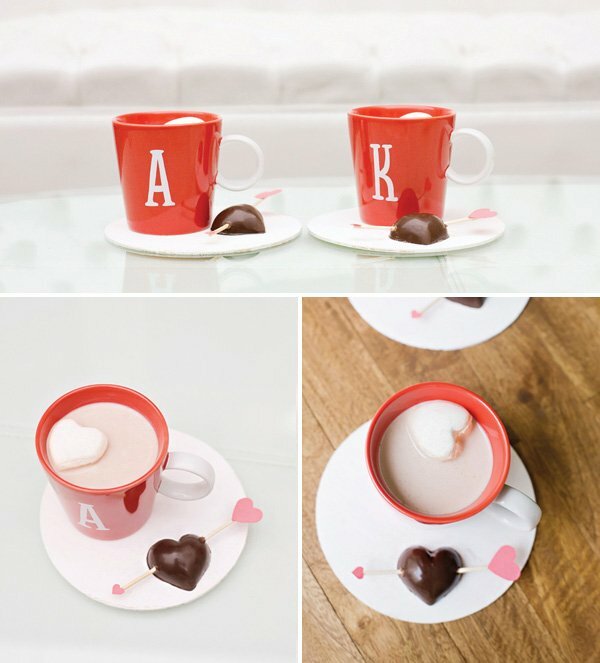 We gussied it up with our Valentine’s Day printable tent cards. 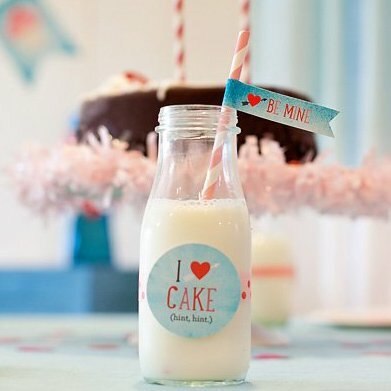 We served pink lemonade in some old pop bottles and covered them with our printable pop labels. We also served Charcuterie Skewers (Italian meats + cheeses) and topped them with our printable flags. 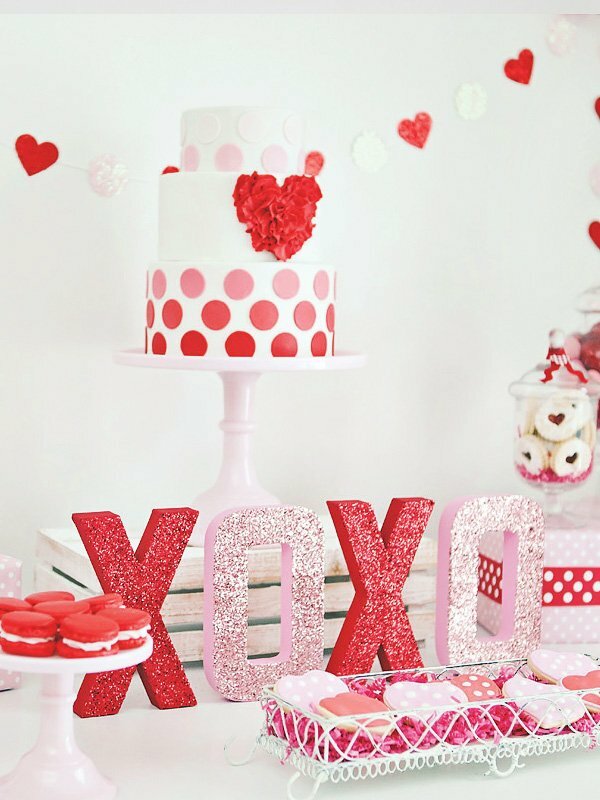 You have to have something sweet on Valentine’s Day right?! 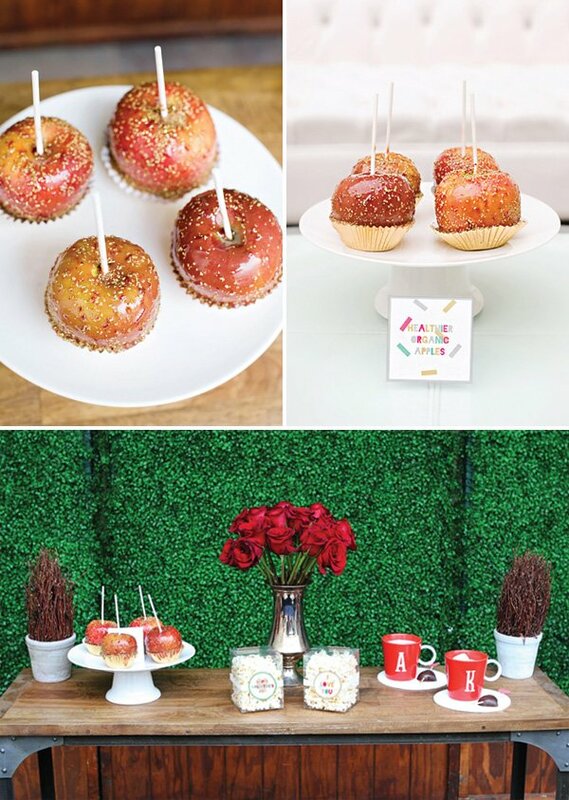 We whipped up these Healthier Organic Caramel Apples using beets to make them red, and they were oh so delicious! Find the recipe on our blog as well as the tutorial for the dark chocolate Hot Cocoa Sticks. How cute is that arrow ring?! 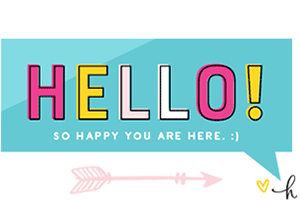 I fell in love with it when our co-worker found it on Etsy — Christine Domanic is the seller! 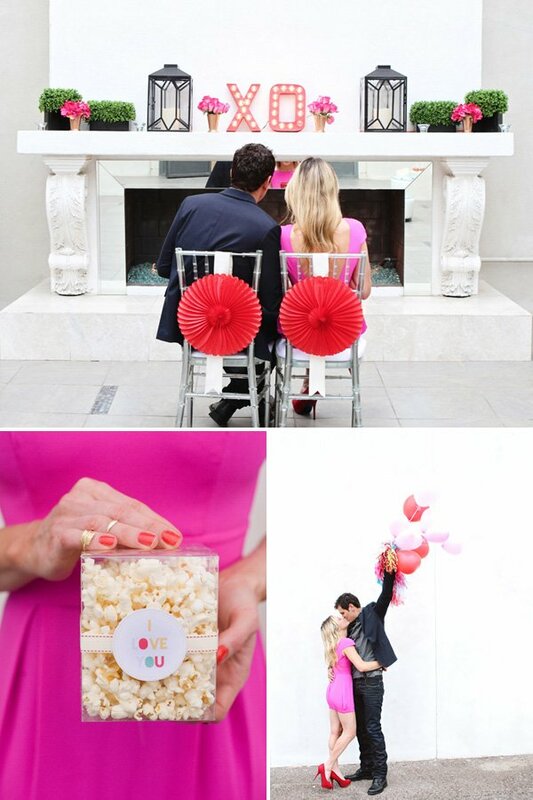 To make the balloons pop … well not literally … to make them pretty I should say, we added tissue paper garland strings. 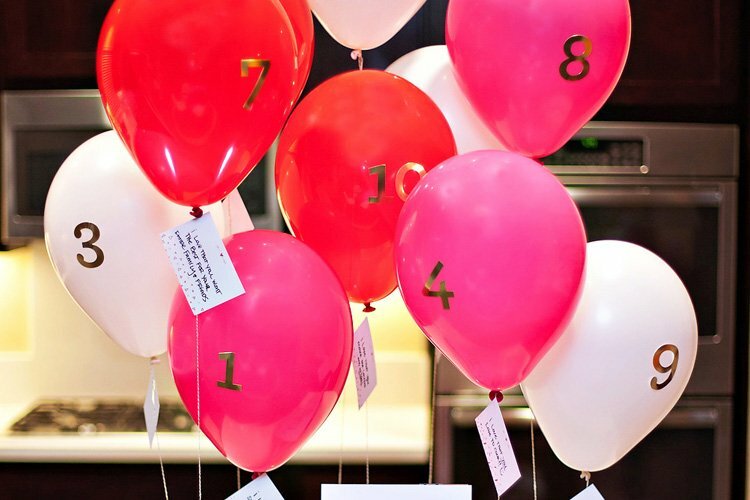 Another fun idea we came up with was to make a giant box and fill it with heart-shaped balloons and a Happy Valentine’s Day sign to surprise your recipient! Or you can pop out of the box yourself … that might be more fun! 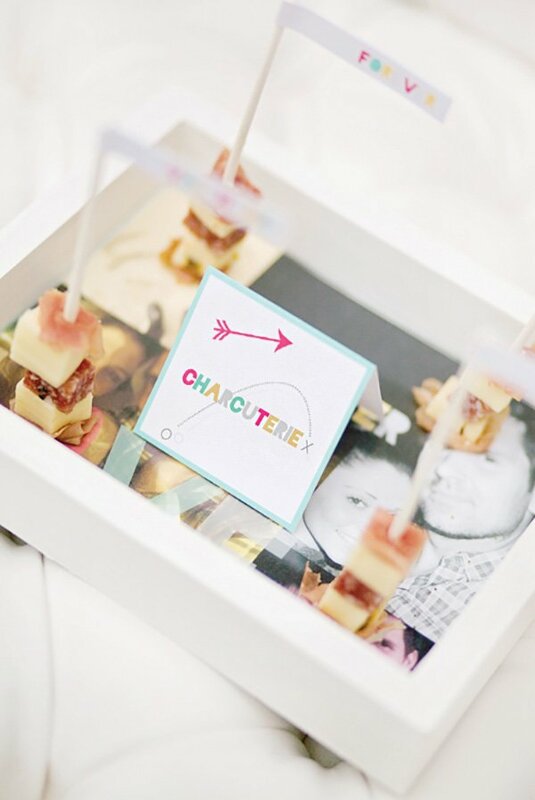 To make your babe feel special, make these vintage photo serving trays. I had some old silver vases laying around, so I painted them gold using gold gilding. To me the gold was a better fit with the decor! 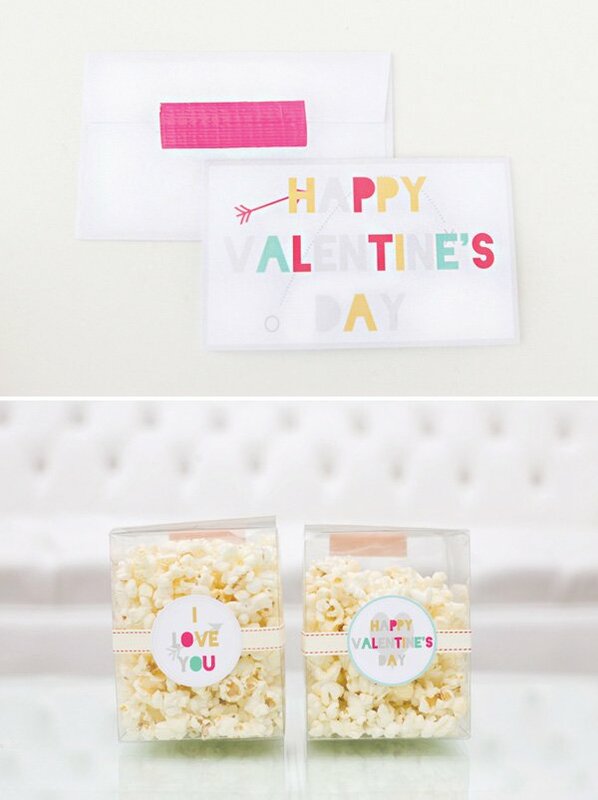 For party favors, we grabbed up some clear boxes, filled them with popcorn (healthy again), and glued on some ribbon and our favor tags. 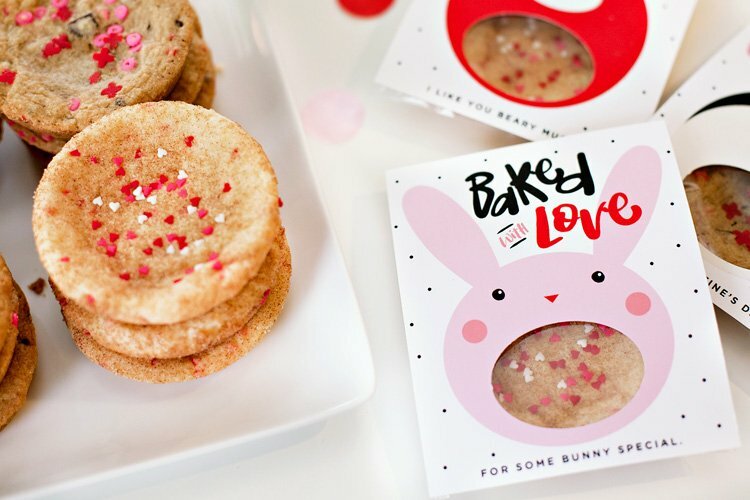 These little favors will have your honey coming back for more! And finally, don’t forget to tell your Valentine you love them! Such a fun design! That mantel decor is too fab!